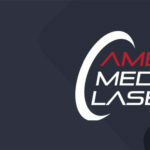 American Medical Lasers is pleased to announce its new branding! We have completely redesigned our website to better meet the needs of our customers. Rest assured that we are still the same company, equally dedicated to quality and customer service as we ever were. Our goal is to have our new appearance reflect the streamlined and professional atmosphere of our company culture. Nothwest Media Collective has worked long and hard with us to realize our vision for a new look. We hope that you are as happy as we are with the turnout! Along with our new rebranding we have recently begun distribution for Wontech, a new player in the North American laser market from Korea. They offer an affordable and powerful alternative to the major suppliers for other picosecond lasers. Not only do they offer a great picosecond laser, but an affordable Q-witched Nd:Yag and a long-pulsed Yag as well. Wontech also has plans to bring more options to the American market as they continue to do business in the States. If you would like to learn more check out https://www.americanmedilasers.com/shop-wontech-lasers/ at our new website. We hope that our new look and branding has the impact we are looking for, a welcomed new addition to our already numerous set of skills. Thanks again to Northwest Media Collective, we couldn’t have done this without you.